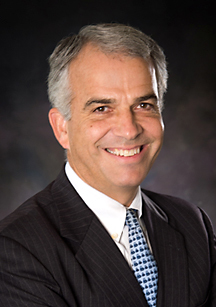 Ed Gilliss has been a partner in the firm of Royston, Mueller, McLean & Reid, LLP since 1990. His practice areas capitalize on his various professional experiences, civic participation, and firsthand knowledge of Baltimore County government. Civil litigation, including real estate development, title insurance, zoning and liquor licensing issues, as well as general representation of restaurants and other corporate entities, are a major part of his broad practice. Ed Gilliss also has an active estate planning and estate administration practice. Commitment to the legal profession is a major part of Ed’s civic life.